Steve Cilladi’s lifetime professional statistics read like the baseball version of Oliver Twist. Forty games. Seventeen hits. Two homers, one triple, no doubles. Six walks, three times hit by pitch. Thirty-five strikeouts. That’s what the ledger shows for five seasons. Please, sir. I want some more. But Cilladi is no unfortunate, and he would rebel at the very thought of it. 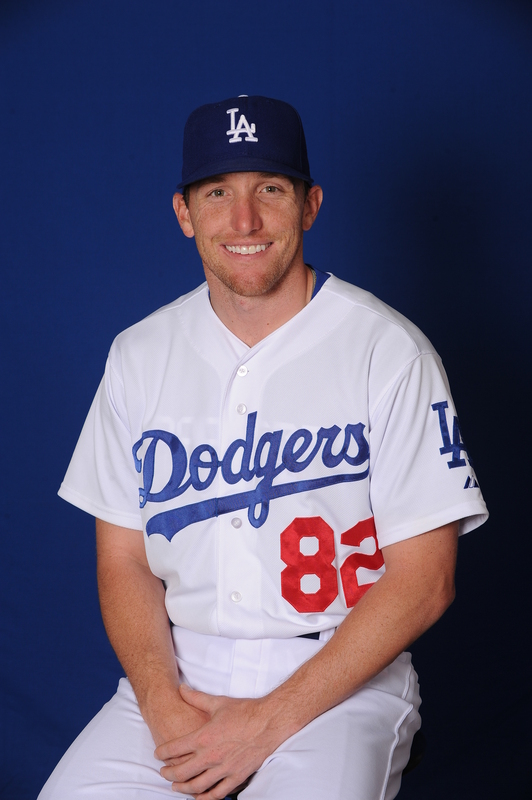 He is a man of means, ambition and perspective — Dodger bullpen catcher today, who knows what tomorrow? A 29-year-old native of Arizona, Cilladi inherited the game from his father Dave, the Colorado Rockies’ first head athletic trainer. The younger Cilladi played ball at Kansas Wesleyan University, an NAIA school that has produced no Major Leaguers, and by his own admission wasn’t even the star of that team. But Cilladi did have the opportunity to work out for then-Dodger assistant general manager Logan White, who told him to “be prepared for anything.” Sneaking 58 at-bats into his final college season, Cilladi batted .328 with a .412 on-base percentage, and shortly thereafter, the Dodgers spent their 33rd-round draft pick on him. He was the 997th player selected by Major League teams that year. And he was more than pleased. He was optimistic. It proved to be … challenging. And humbling. In rookie ball that summer, Cilladi had 46 plate appearances. That would end up being his career-high. His on-base percentage was .217. The next year, repeating the level, he raised his OBP to .417, but he played in only 11 games all year. In 2011, he moved to Single-A Great Lakes, and went 5 for 27. By now, you should realize that statistics aren’t really the Cilladi story. By this time, he had. He trails off just for a moment, then resumes. In 2012, Cilladi moved up to Triple-A Albuquerque. He had one single, solitary at-bat. He didn’t see the field defensively at all. He took batting practice, he caught bullpens. He did everything with the team, except play. Before the 2013 season began, Cilladi and DeJon Watson, the Dodgers’ director of player of development at the time, sat down together. When Cilladi returned to Albuquerque, he was reunited with manager Lorenzo Bundy, who had been his skipper in two previous seasons. Cilladi was immediately proactive, not asking for a leg up, but offering. April became May, May became June, June became July, and Cilladi still hadn’t appeared in a game. It appeared that the transition had been complete without him even knowing it. Then, on July 14, for circumstances he doesn’t even remember other than that it was right before the Triple-A All-Star Game, the Isotopes hit a sudden catcher shortage. Cilladi was told to get ready. He was the only one who could play. Alex Castellanos homered in the top of the sixth. Iowa tied the game with a run in the bottom of the same frame. Neither team would score again until Albuquerque erupted for four runs … in the 18th inning. Nearly two years removed from his last action behind the plate in a professional game, Cilladi caught the whole thing. He didn’t know it, but that marathon would be the last game of his career as a player. 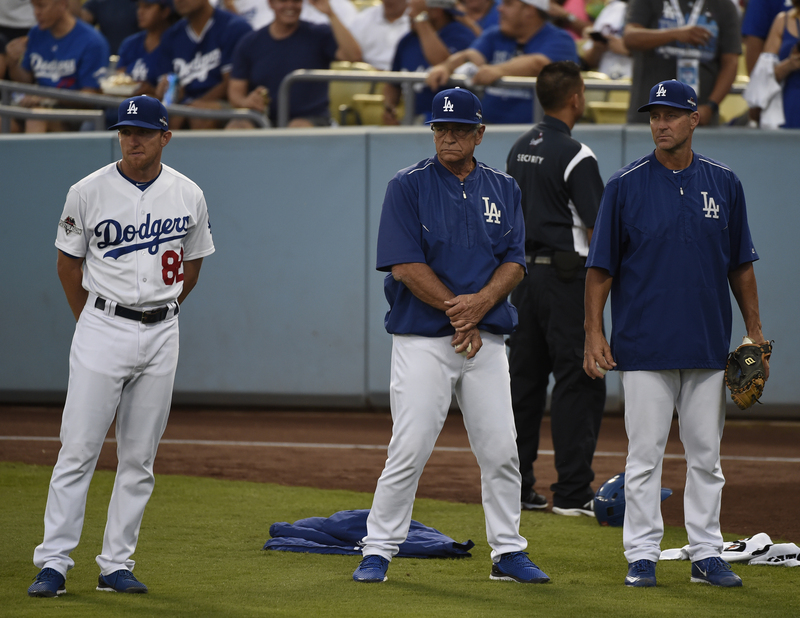 In the 2013-14 offseason, Cilladi reached out to Dodger catching coordinator Travis Barbary, and had the conversation that every man and woman at a career crossroads has had. He had a college education. He had skills, including being a certified athletic trainer — shades of his old man. Did he need a new dream? Barbary worked on exploring whether a position might be created to suit Cilladi’s unique qualifications. Perhaps more importantly than that, Barbary kept in weekly contact, never letting Cilladi feel forgotten or abandoned. Eventually, Barbary called Cilladi to tell him that there was going to be no new position. But … there was an existing position, for big-league bullpen catcher, alongside Rob Flippo, that they were interested in him for. That’d work. 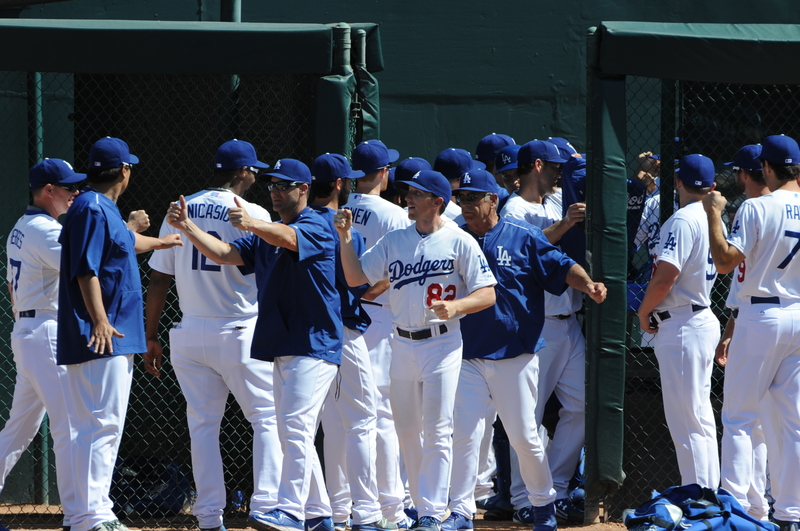 At the end of Spring Training 2014, Cilladi was officially placed on the Major League staff. Two years later, Cilladi has a routine. He arrives around 10:15, 10:30 a.m., to get a workout in and get acclimated for the day, a day of making things happen for others. Recently, Cilladi said he was talking with bullpen coach Josh Bard, telling him that even if had something personal to do, he wouldn’t do it at home. He would do it at Dodger Stadium — because he could. When you can make helping others your vocation, you’ve kind of got your life made, whatever you’re ultimately striving for.